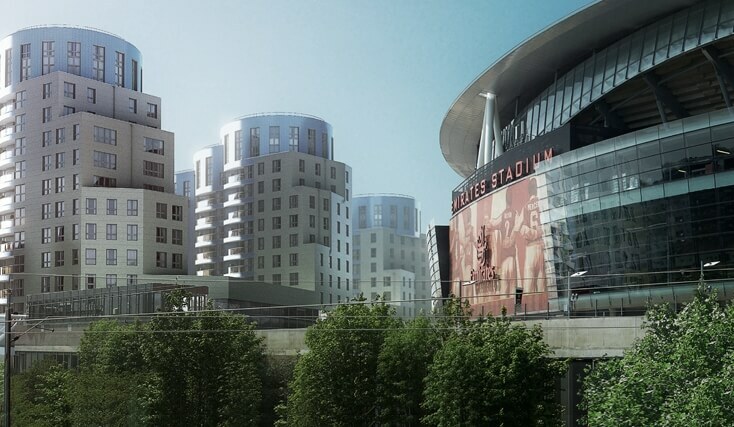 Roger Fitton led the team which acted for Queensland Road LLP (a joint venture between Barratt and London and Quadrant Housing Trust) in the acquisition of a landmark development site at the Emirates Stadium for £26m. The development comprised the planned construction of three residential towers with 375 units varying from studios to penthouses. The prestigious development is to be located on Queensland Road close to the Emirates Stadium and forms the final piece in the 9 year Ashburton Grove project. The location of the site presented particular difficulties involving building into the stadium podium and requiring the release of rights by Network Rail and provision of a heat and power network serving this and adjoining developments.